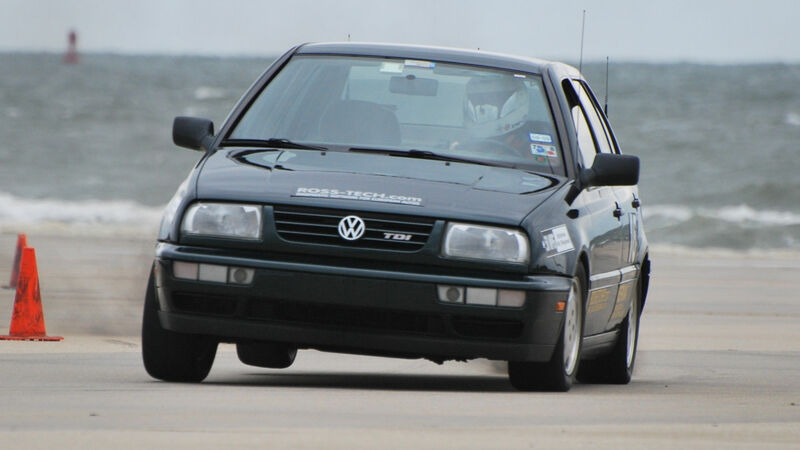 I have a Southbend clutch on my Mk3; the little diesel sounds more like a Peterbuilt. I knew that converting to a single-mass flywheel would increase flywheel noise in my GTI, although probably not to the extent it did in my TDI. I wanted to continue my trend of hiding mods and didn’t want extra clatter drawing attention. So I chose an RSR clutch kit with Sachs flywheel by HS Tuning. 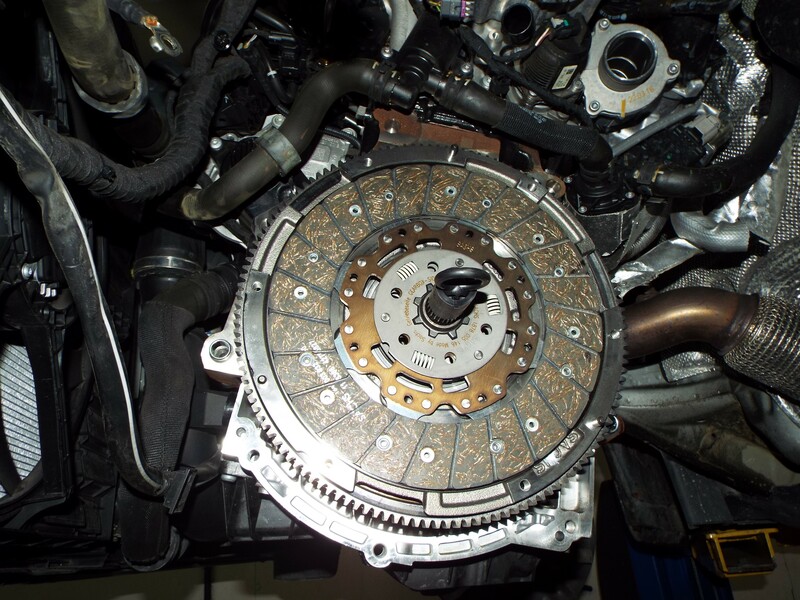 It uses a factory-like dual-mass flywheel and is reported to be an upgrade to the clutch found in Audi’s 400-hp TT-RS. 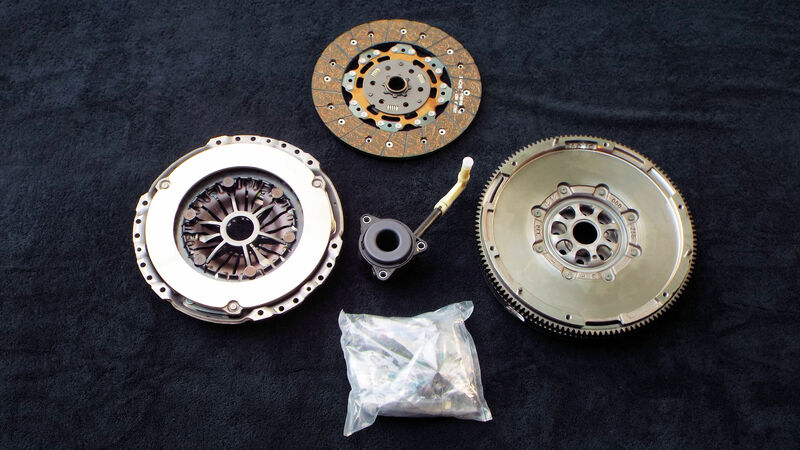 The clutch is advertised to hold 480 lb-ft and maintain stock-like pedal pressure and driveability. I had Euro Pros install the clutch. 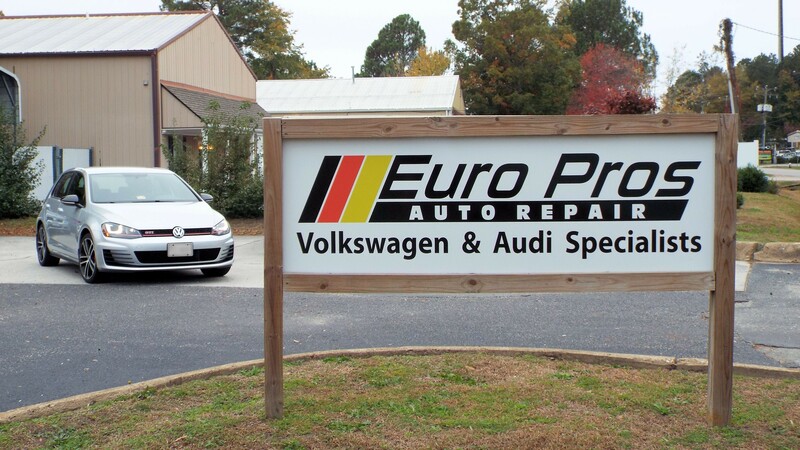 They are in Yorktown, VA, specialize in VW/Audi repair and service, and are the APR dealer that upgraded my ECU. 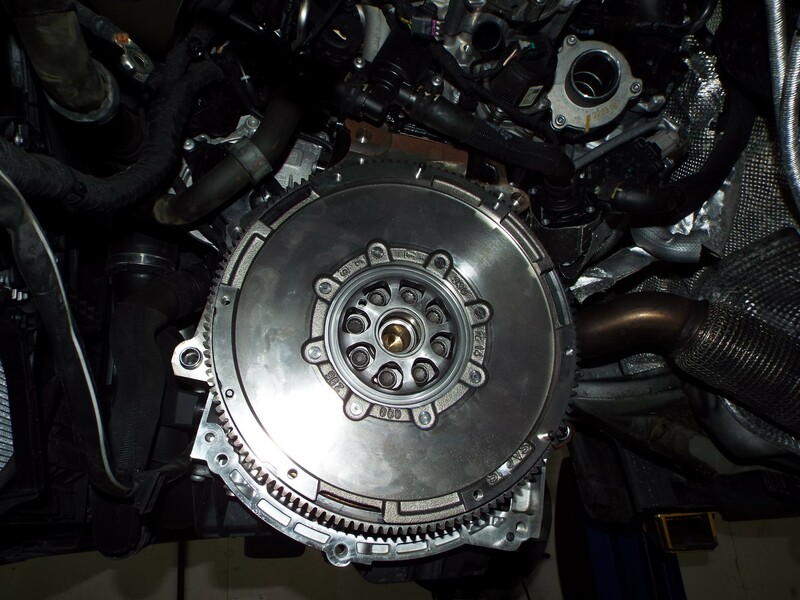 They had not installed an RSR clutch kit before, but said everything was a breeze. Both the technician who did the work and the shop owner said the clutch feels great and has good pedal-feel (more on that later). They also gave the car a thorough inspection to see if anything needed attention. Everything was good with one exception. They found one small problem in the form of an unexplained pocket of fluid in a cranny below the bell housing. 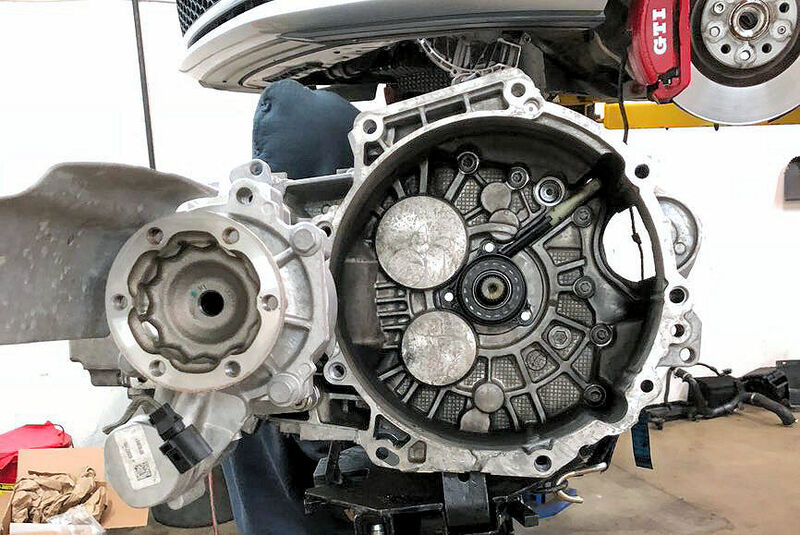 The bell housing is completely dry, there’s no sign of leaking from the transmission case, and there’s no obvious paths that would have allowed the fluid be become trapped there. The VAQ differential may have a leak. The hardware is tightly packed, so finding the exact source of the leak is a challenge. I cleaned the transmission and watched the area for 100 miles, which wasn’t enough time to duplicate a tiny leak. I will check again in another 500 miles. Has anyone else had a leak here? I’ve shared more photos below. Have a look and feel free to tell me what you think. I’m completely accustomed to the extra pedal effort; it inspires some confidence that it’ll hold the increased torque. I’m very pleased and will continue to be so long as the clutch lasts a long time. My only other niggle is a tiny, tiny bit of chatter felt through the chassis as the clutch engages from a stop. Euro Pros told me that it may or may not go away, but it was nothing to worry about. Most of the time, I just “drove through it” and didn’t even think about it. A week later, I’m pleased to report that the chatter is gone without a trace. I guess the flywheel just needed break-in time and to transfer friction material between the parts. By the way, I allowed the clutch to “break-in” by driving moderately along stop-and-go routes for about 200 miles over three days. I did a glorious sprint the following morning. Later, I drove some coworkers to lunch. 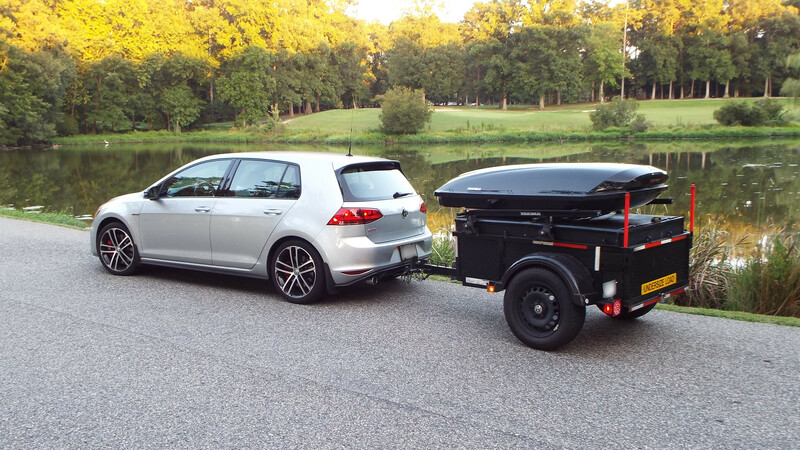 Between the four of us, there was probably 900-lbs of meat in the car, plus the 50-lb box with stock clutch was still in the trunk. I needed to make a left turn and saw the protected light turn green in the distance. Not wanting to miss it, I stabbed the accelerator in 2nd gear, just enough to chirp the tires, and blasted to the light. The team was impressed. 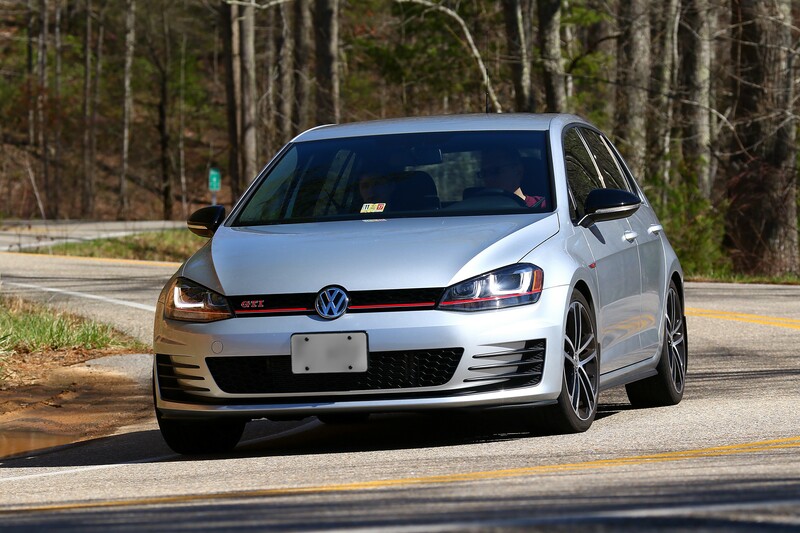 The following morning, I gave a friend his first ride in a GTI. He loved it, especially since we didn’t wind up in jail. 😀 This car is a keeper! Some of the fluid pooled in this crevice, where it was trapped until the transmission was separated from the engine. Hey Scott – did the RSR clutch ever lighten up a bit? Just got mine installed and it is super-touchy. No way my wife will be able to drive it.